The most common woe for the salon owners is the shortage of good and efficient staff. 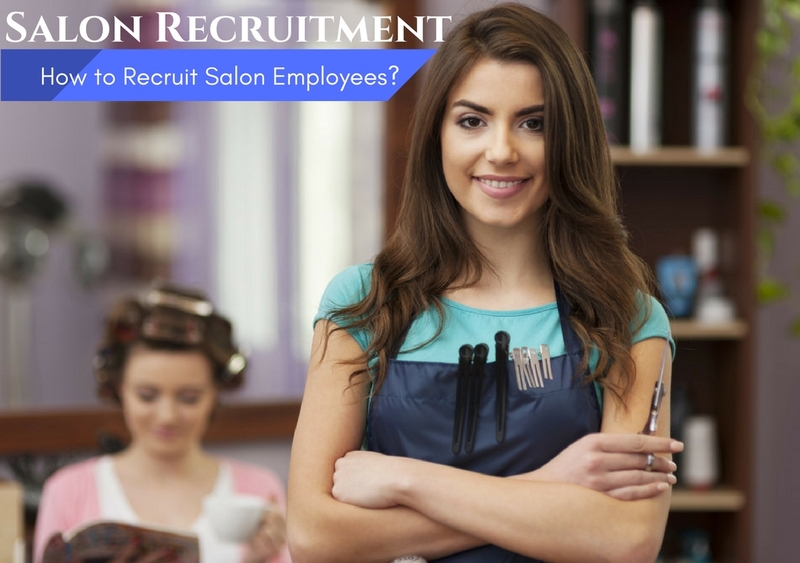 Candidates applying for the post of salon staff need to be people who are good at their skills, cooperative and motivated and moreover courteous to the customers. There are lack of skilled candidates available and that remains one of the main challenges the salon owners face. So then how do you ensure that you get true great performers to your salon? How do you attract potential candidates and then the next eminent question is how do you retain them in your salon? Here we try to answer such questions and give you tips about what you need to do to scout candidates and select the best. For any business, building a reputation and thereby the brand is the main concern and efforts are needed to build one. But once done, it ensures that everything goes smoothly be it attracting customers or good candidates. Getting your salon a brand association definitely helps to lure customers. But it also attracts candidates to find employment in your salon. Because even they would feel that being employed in such a salon increases their work expertise. The working style changes when your salon gets associated with a brand. You need to satisfy customers because you are responsible for maintaining the reputation of the brand. So you need to train the young assistants accordingly. You will have to follow certain styling techniques which act as a great opportunity to the young recruits. Yes, brand is what counts. When customers get satisfied with your salon services you slowly start building a reputation and that gets converted into a brand. You get loyal customers who swear by your salon services. When the name spreads so does your salon attract new customer. Also so does it attract candidates to join your team and join servicing customers. Not only does building reputation attract talent but it also makes them work with passion. Who would not like to be associated or work for a reputed salon? Including training programs and courses takes your salon to the next high level, signaling that it means serious business and that it is proficient enough to train students to take up jobs in this field. Design short term courses which will attract students. Prepare a framework for the topics to be included in the course. When students feel satisfied with the study and the practical knowledge they obtain, they start feeling more and more comfortable with working in the salon. Openly discuss with them their career prospects and goals. Guide them with your expertise and knowledge. Share some tips and tricks so that the students feel that they have learnt a great deal. When you keep them happy, they feel comfortable. And it is not long before they will be interested in joining your salon full time. Once done with short term courses, encourage them to join specialized and advanced courses in your salon. Take a field in which they are more interested and offer specialized course in it. Be professional and be serious in study matters. Appreciate their skills and encourage them to learn more. Offer them incentives and encourage them to work part time in your salon so that they earn while they learn. This is the best tactic to retain them. You will also have the benefit that you will not have to train them when they are recruited. Otherwise a lot of time and money is spent in training new staff for offering salon services. When you get invited to or visit beauty schools it sends out positive reviews among the students in the schools. It gives them a sense that your salon is a brand worth trusting and can be included in their job search. Arrange for discourses on various topics in beauty schools regularly. Try to make the topics interesting and include all the latest trends and information in that. When you attend beauty schools, the students start getting to know you. This forms the basis for a strong foundation of trust and when the students pass out of the beauty school, they will have no hesitation in approaching you for a job. When you keep visiting beauty schools, you know how each student fairs in the skills. This will give you an idea about who the best students are. You could offer such candidate job offers in your salon. Sure no candidate would reject job offers when they get one while studying itself. Also this will increase the competition level among students and each one will try to do the best so that they also receive job offers. Mere recruitments won’t suffice. Equally challenging is the technique to retain them and the efforts you put in should be for long term and not an intermittent strategy. Pay some incentives when the new recruits personally get customers to the salon. So offer incentives if any customer visits your salon on their referral. You can do a yearly or half yearly assessment and offer appreciation and incentives to those who have performed the best. This competition keeps them interested and helps in setting a standard to your salon. Keep the timings flexible whenever possible. Do not be rigid. Being a tough taskmaster is different and being rigid is completely different. So know where to draw the line and when there is certain leniency in your attitude, they appreciate it. Yes. Give them tasks. They will learn to do it better each time. Appreciate the completed task. They will yearn to do it better next time. Keep them busy and also let them know that they are improving day-by-day. Offer new roles to the recruits every time and shuffle their work regularly. This will make them learn everything and they will not get bored also. Train them under your watchful eyes. Show them the right techniques of doing it. They will love their job when they are kept busy and it helps you in retaining them. Such busy job wherein you get to learn a lot attracts more new candidates. Using harsh words guarantees that you will not be able to retain your employees as well as new candidates will all together stay away from joining your salon. You need to give some importance to them and treat them as one among your own. When the work culture is good, it obviously attracts potential candidates also. It helps to have a friendly and supportive work atmosphere in the salon. The channels you select to place advertisements need to be the right ones. Only then do you get to recruit promising candidates. This ensures that your salon is always filled with efficient employees. Whenever there is a career fair in and around your locality set up your stall so that candidates come to know about the job offers in your salon. Prepare a brochure detailing out your company, its mission and its vision. Add 1-2 customer reviews so that the candidates come to know that your salon is of repute. List out all the challenging tasks they will have to do and the brand that you are associated with. When you prepare an appealing brochure and present it to the candidates, they will surely give it a try. Also demonstrate some unique techniques in front of the stall so that the students get a good impression of your salon. Visitors to the stall will also convey the message to their friends that there is a job opening in your salon. This is the traditional yet encouraging way to find new recruits; registering in a recruiting agency. The agency adopts some tools like media advertising, online advertising, referrals and stored candidate registry to find the perfect employees to your salon. You have already a website for your salon. Keep a separate section for careers and put the job postings out on your website. If you are active on social media, advertise the job openings there also. When the openings get shared on the media multiple number of times there are more chances that you will start getting genuine enquiries. You have a lot of customers in your salon. When you put up a display regarding the job opening, it spreads through word-of-mouth. Also no money or time is involved in this. Put it up on the front door so that it is visible to passer-bys. That type of advertising is effective and quick. There are small things which make a huge difference. But ignorance or the lack of awareness to implement it means that you lose out on good candidates. Be sure not to miss out on those. One more aspect which is quite ignored is the storing of resumes even when there is no job opening now. When there isn’t any job opening and any candidate comes over just to hand the resume, be polite in saying a “no vacancy now” but collect their resumes. So when there is a job opening later you can always go through their profiles, select the right ones and contact them with the job offer. Even if they are employed elsewhere you can ask them to convey it to their friends. You are sure to get a positive response as well as an enquiry. This strategy is adopted so that you get the best. Even when there are no job openings, don’t miss out on the best candidates. If you wait till there is a job opening, then you will struggle at that time to get the right candidate. And don’t think that you will have excess of staff. Keep them busy. Request the employees to get new customers. Also when you have more staff, you needn’t keep the customers waiting. Quick services satisfy the customers also. This in turn will profit your salon in the long run. It helps when the recruits already have basic training in their skill sets. It saves you so much of efforts in training them. Apart from possessing good skills, the way the staff conducts with the customers is important. When a person is passionate towards his work, only then will he be able to learn new things and have competitive spirit which will make him proficient in his field. The recruits should be able to fit in to the work culture of the place. Only then a positive environment in your salon is created. Yes, agreed that getting good candidates and retaining them is not so easy a task. But that comes with years of experience being and having worked in that field. Successful handling of challenges and also learning from mistakes ensures that you gradually pick up the nuances of trade. And setbacks are all a part of everyday business; that shouldn’t deter you from constantly trying out new things. Evolving your business to the latest trends is also the core, it attracts potential candidates likewise. Previous articleHow to be More Social, Confident and Outgoing at Work?